Flavius Anicius Petronius Maximus Augustus was Western Roman Emperor for two and a half months in 455. A wealthy senator and a prominent aristocrat, he was instrumental in the murders of the Western Roman magister militum, Flavius Aëtius, and the Western Roman Emperor Valentinian III. 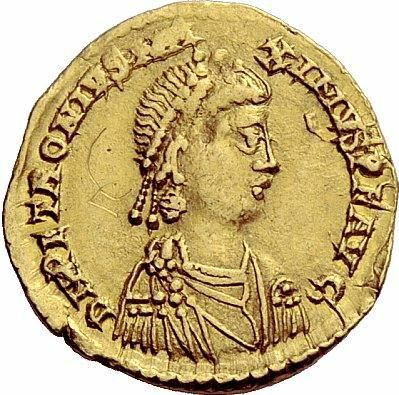 After gaining control of the palace, Maximus consolidated his hold on power by immediately marrying Licinia Eudoxia, the widow of Valentinian III, against her will. Licinia Eudoxia appealed to the Vandal king of Africa for help, and within three months he had attacked and sacked Rome, killed Petronius, "liberated" Licinia Eudoxia and her daughters, and brought them to Carthage as honoured prisoners.